The internet has revolutionized the way we live. Like it or not, eCommerce is becoming a way of life – Amazon’s founder and CEO Jeff Bezos, ranked one of the richest men in the world, is a testament to this. But why has it become so popular? We explain our top 10 reasons for the growth of this phenomenon, in pictures. Before dealing with the ‘out of stock’ signs, tantruming children and long queues, shoppers must first pass through the initiation ritual and laborious task of finding parking…even in the largest shopping malls, this can get contentious. It really is that convenient. And as those adept at shopping in cyber space know, it’s probably safer retaining your credit card details for online stores than it is physically carrying it in a busy concrete store. Just whip out your smart phone and get busy. Online shopping creates a space for you to calmly go about your business without having to deal with other people’s problems. Shopping shouldn’t feel like going into battle, with annoying 80’s music as your dramatic soundtrack. Imagine if you could shop in the comfort of your Lay-Z-Boy…………in your pyjamas and furry socks. 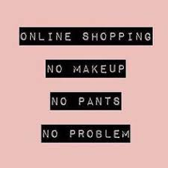 The most burdensome question being, ‘wine or coffee?’ Online shops are open 24/7 which means you don’t have to rush to get there before they close – bonus, right! Staggering about with shopping bags is just so 1995. 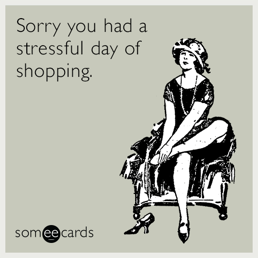 Nothing about shopping should be painful. 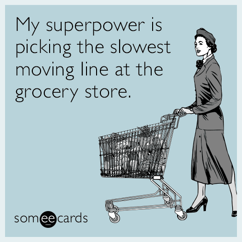 Get on the couch, get it in the cart and get it delivered to a pickup point of your choice. Researching and comparing prices online is a cinch. 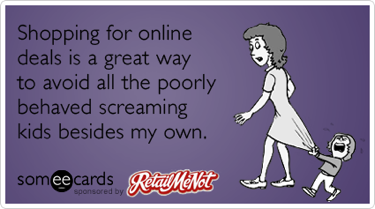 Also, stores often offer online-specific deals that aren’t available in their physical stores. Does it always feel like you’ve picked the wrong check out queue? 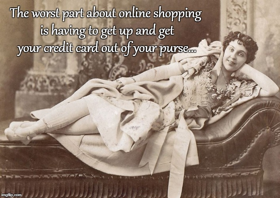 An obvious advantage to online shopping is that there are no long queues to waste your time, or make you grumpy because the queues either side of you are moving faster. 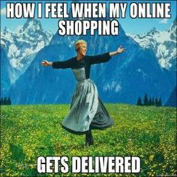 No need to be stuck at home waiting for the courier to arrive with your online shopping while your bestie is spending the day dancing on a bed of flowers. 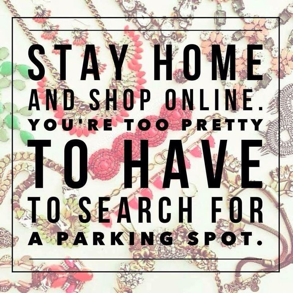 Pick up your online shopping at one of 2000 Pargo pick-up points. Little compares to the feeling of butterflies in your stomach. 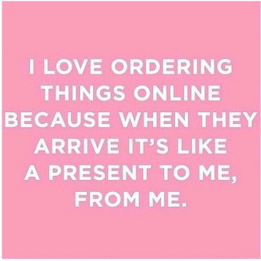 Online shopping helps to elevate your bliss levels and savour the excitement of your purchase, by anticipating the delivery. Stress is the modern-day epidemic. Medical science has identified it as a major cause of diseases like cancer, cardiomyopathy and even certain types of depression. Doctors recommend stress reducing strategies as the first ‘line of defense’ in preventing these diseases. 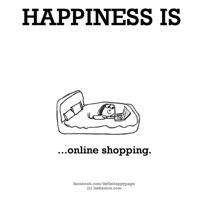 From the benefits listed above, we can deduce online shopping is just such a strategy.